Chemical companies find a home in this region with university research partnerships, an available and experienced labor force and a pro-business permitting process. 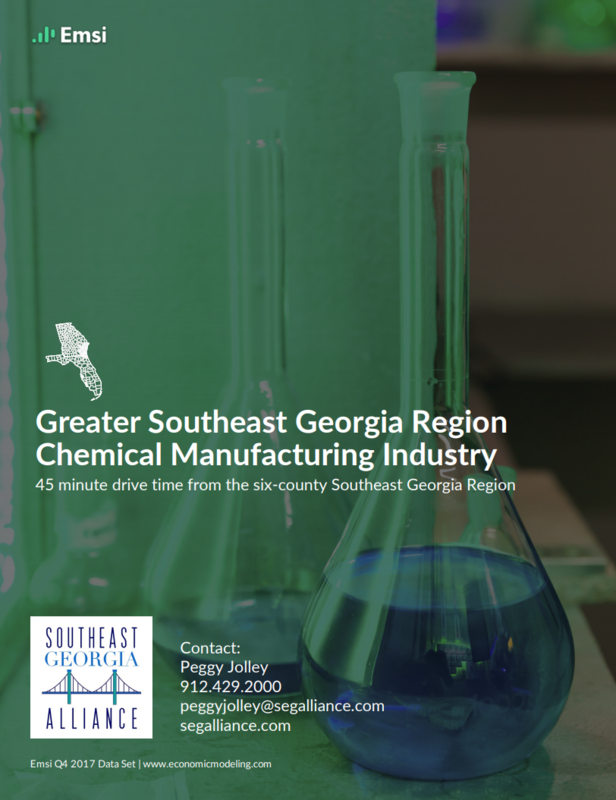 As with many coastal areas, SE GA is not an exception to having a long history of supporting the chemical industry. From derivatives of the wood industry to mining of titanium, the area fully supports the new generation of clean production facilities in this industry. Lower than average payroll and utility costs, low unionization rates, pro-government permitting processes and access to great transportation networks result in lower operating costs. Earnings per job is $6.1K below the national earnings per job average for this industry sector.